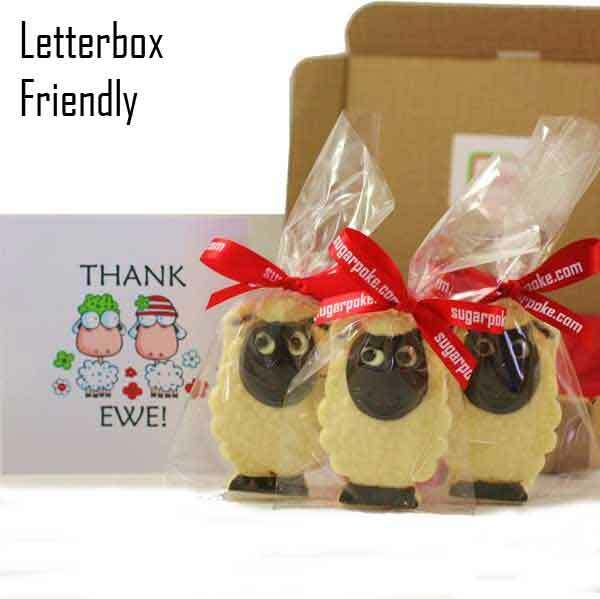 3 x Ewe-an - three of a kind! The cutest treat around! Adorable white chocolate sheep (28g) with dark chocolate decoration. Ewe can't go wrong with a fabulous flock of Ewe-ans....! Such a cute treat. Sent to my friend to say thanks for lots of support she had given me and she loved it! I chose the sheep card to go with it which was really sweet too! really pleased I found this site as have a whole heap of birthdays coming up! I love this one! So cute that they looked too nice too eat! (I did though and they didn't disappoint)! I got sent this and I thought it was a great way to send a little thankyou to someone. Sheep are yum!